Over 3800 Pages! 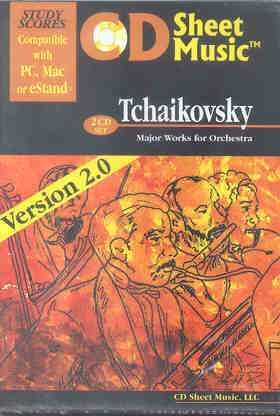 This disk contains study scores for virtually every Tchaikovsky orchestral work (except Ballets) - all of the Symphonies, Concertos, Overtures, Suites, Symphonic Fantasies, and many more. Over 3800 pages of music! Our price: $18.95 + $10 shipping for first item, others $6 each.